Thanks for your thoughts! They are much appreciated. Yes, there seems be quite a bit of open space and I'm not quite sure how it will turn out. This is actually my first full diorama. But, there will be a bit of hedgerow behind the vehicle. First photograph, lower right corner, where the green squirly lines are. The squad of GIs will also be a bit bigger than the three shown here. There will be at least six infantrymen. In the foreground, on the field I'll add some rural bits. Maybe a small cart or a small drinking place for cattle. I intend to finish the building of the groundwork first, and see how it all shapes up. Lots of filler or mud? The Tamiya putty on the lower hull is there to represent mud. I did add some filler on the top plate. 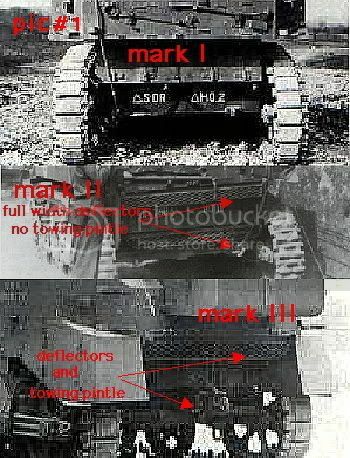 I may be too late but maybe you noticed that all (well maybe not ALL but Carol sure does) the Stuarts from this unit has the antenna moved from the turret rear to the turret roof so it doesn't have the serach light on anymore. 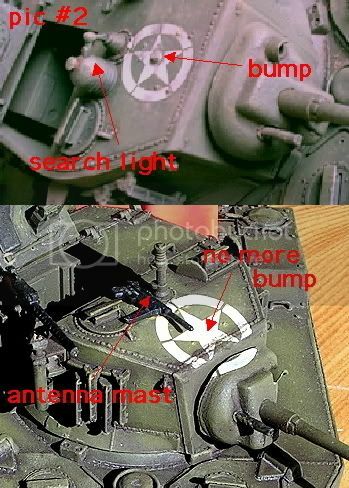 Also, if you want to build Carol there is an issue with the rear of the tank. This is less obvious and more time consuming to fix. You want what I called "mark II" with the deflector but without the towing pintle. Last edited by gibsonfndr; 01-07-2009 at 01:39 AM. No real progress on this one. I have also changed plans, and I now am going to make an M5A1 from 601TD in Italy. Carol is one the 'gonna-build-one-day' list. I've got the Field Guide to the M5A1 so all the changes and additions will be made should I make Carol. Hope you'll finish Carol someday. I'll be waiting for new updates.